Stax o' Wax ----- THIS BLOG IS NOW CLOSED. THANK YOU FOR ALL THE GOOD YEARS! 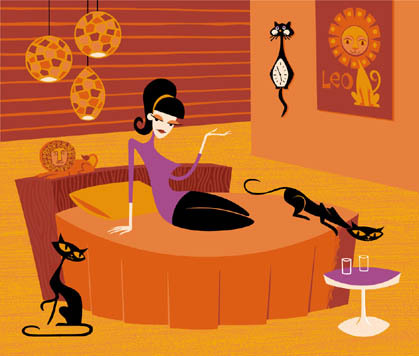 Vinyl sharity - soundtracks, lounge, exotica, easy-listening, celebrity vocals, and all sorts of groovy sounds from my personal collection! Wow! 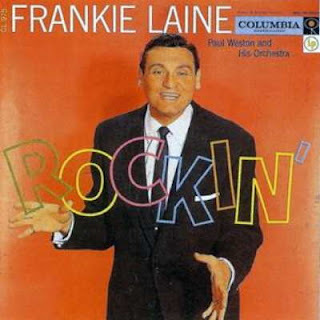 Frankie Laine was an awesome singer, but this album of his just knocked my socks off! It is really fabulous - Frankie at his best! Plus, he recorded it with Paul Weston and his orchestra - one of my favorite bandleaders. For this collection, "Rockin' Chair" was arranged by Russ Case, and Paul Weston made the arrangements for "That's My Desire", "West End Blues" and "Give Me a Kiss". All other arrangements were made by the great Billy May. So, how could you go wrong with that? I've heard many of these songs before, and it's really hard to pick a favorite. I guess, for tonight, my favorite is "Shine" - I'm just in a "Shine" kind of mood. But this whole album is great! Listen for yourselves! Here's one for you big band enthusiasts. This was released on the Camden label, which was the budget label for RCA, in 1957. But, after listening to it, I think these songs must've been recorded a lot earlier - they kind of have a 1930s sound to them. It could be, too, that they just sound that way because this is a mono recording. Regardless, there are a lot of familiar tunes on this album that are sure to bring a smile to your face. I like how Sammy would introduce the vocalists, like - "and now here are the Kaye-dettes to sing..." or "to sing this beautiful song is so-and-so..." Anyway, enjoy! 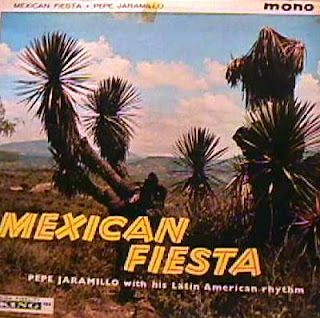 Here's a very enjoyable record of Latin American rhythm! This is one of those records that I have no idea if it belonged to my mother, or if I bought it - I just don't remember. But, I like it. I would even call it a "lounge" or "exotica" record. One of the things I really like is that, on the back cover, it tells you what kind of dance that song is. I only know how to dance two of the dances listed (bolero and cha cha cha), but I'm willing to give the others a try. Now, this record was pretty beat up, and I ran it through the click removal several times, but there's still some clicks and pops, and several of the songs have skips (not that obvious) in them. But it really is still a nice album to listen to, and you'll find many of the songs quite familiar. If there is anyone out there who happens to have a better recording of this album, please do share it with us! "One, two, three o'clock, four o'clock, rock!" How many of you remember those first words of one of the greatest rock 'n' roll songs ever? Some of us remember that song from the movie "The Blackboard Jungle", others from 1950s AM radio, others from the first season of the television series "Happy Days". I was not around in the 1950s, but I was introduced to the 50s rock in 1973 by my seventh grade Texas history teacher, Brother Joseph Scanlon. I remember that it was the day before a holiday (Thanksgiving, I think), when no one has their mind on school work, and he brought in a portable record player and a record. He played it while the class did busy work - and I was completely blown over by the music. A short time after that, I watched "The Blackboard Jungle" on late night TV with my mom, and I thought I was being such a rebel because I listened to that crazy 50s rock. Isn't it great the way kids' minds work? And then, several years later, "Happy Days" came on the air and I was ecstatic. Anyway, I think I must've bought this record from the HPB bargain bin a while back, because it's a promotional DJ copy (and where else would I be able to find a promotional DJ copy?). 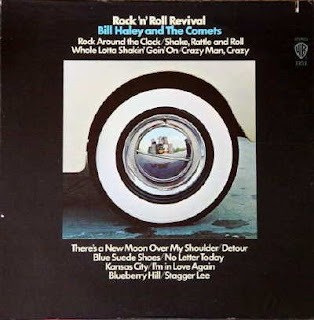 Bill Haley and the Comets are required for any rock 'n' roll collection, in my opinion. This album was released in 1971, when there was a resurgence or "revival" of 50s rock. I think Bill and his band must've rerecorded all these songs, because they sound a little different from the way I've heard them on other (older) albums. So, dig out those saddle shoes and poodle skirts and get ready to dance to this album! And here's a great video of Bill Haley and The Comets singing their signature song! Woo hoo! As of today, I have passed 150,000 hits on my blog! Thanks so much to all of you who visit regularly, and welcome to those who are only now finding this blog! I love music and I am glad that I am able to share my records with you all! Well, ever since I brought up my entire record collection from my other house, I have shared several records that once belonged to my mom. This is another one, and it was a gift from my Uncle Abel (my mom's younger brother) to my mom in the summer of 1959 (my mom scribbled this on the back of the album). My uncle also shared my mom's love of music, and I even have some of his old records (my aunt gave them to me after he died). Anyway, this album is great for dancing as each track is actually a medley of several songs lasting about 5 minutes or so. According to the album cover, there are "36 Dance Favorites in Hi-Fi". Geraldo was actually Gerald Bright, a British bandleader, who adopted the name "Geraldo" in 1930 to become one of the most popular dance-band leaders of the 1930s with his "sweet music" and his "Gaucho Tango Orchestra". He died in 1974 while on holiday in Switzerland. So, put on your dancing shoes and "Dance, Dance, Dance!" to the music of Geraldo! Hola, amigos! (Yes, I am fluent in Spanish, but I'll continue the rest in English.) Today's offering is another album of my mother's that I grew up listening to. My mom belonged to the Columbia House record club (I later belonged to it - the apple doesn't fall far from the tree), and she bought lots of cool records, most of which I have now. My mom loved Percy Faith, so I have several of his records. Although this album was released in 1957, I don't think my mom bought it until 1959 because on the back of the album cover she wrote her name and '1959' (my mom liked to scribble notes on the backs of her record albums). 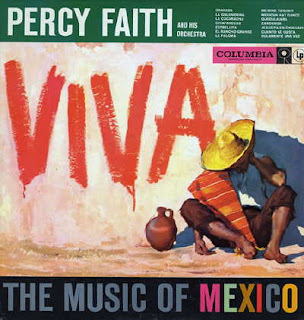 So, take another trip down memory lane and give a listen to this "Music from Mexico" album from Percy Faith and his orchestra! Does anyone out there remember a very short-lived television series called "The Young Rebels"? Or the handsome star, Rick Ely (wasn't he just dreamy? ), who played "Jeremy Larkin" on the show? Well, here's a record from my celebrity vocal collection that I forgot I even had! I searched for this for a long time and finally found it on eBay a few years ago (sealed! ), listened to it once, and forgot about it. So, I thought this would be a real treat (depending on how you look at it). I never watched an episode of the show - it came and went pretty fast - but I do vaguely remember watching commercials for it. And I do remember Rick Ely from the teen magazines like Tiger Beat and 16 (okay, I still have a few of those). He wasn't one of my "faves" back then (I was more in the David Cassidy and Donny Osmond crowd), but when I bought some old teen magazines on eBay a few years ago, and some of them had pictures and articles about him, I developed a bit of a crush on him - well, a crush on the guy in the pictures from 38 years ago anyway (I'm thinking he must be in his early sixties now). I don't know what happened to him after that except that he was on a soap opera for a while. But then... nothing. So, if anyone out there can give me an update on Rick Ely (also went by Richard Ely and Richard K. Weber), I would love it! 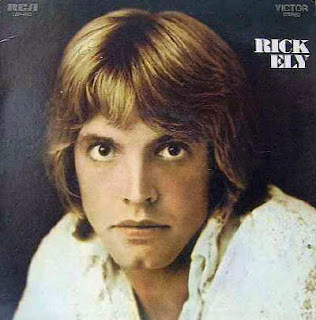 I know there are other Rick Ely fans out there who would like to know whatever happened to him. This album is the only album he recorded, that I know of. He did release a single off it - "Circle Game" - but it wasn't a top-40 hit, although I think I read that it enjoyed some modest play in Hawaii. His voice reminds me a little of Bobby Sherman - easy, laid-back, mellow - and I find it rather pleasant. You'll recognize most of the songs, too, as it's mostly covers (I think just about everybody has recorded "Your Song"). I even have a suggestion for a double-play - download this one and the album by Peggy Lipton (who is still HOT), and you'll have a nice double-album to burn to a CD. So, go back to 1970 and listen to Rick sing. The music that is shared here is old and assumed to be out-of-print or otherwise not easily available for purchase. It is shared here to educate others about the artists and their music; there is no commercial purpose involved. Should anybody holding a copyright claim to any of these materials object to their presence here, please post a comment, and I will promptly remove the download link.